Hey friends, Last month, Reps. Joe Courtney (D-CT), Glenn ‘GT’ Thompson (R-PA) and John Faso (R-NY) reintroduced the Young Farmer Success Act (H.R. 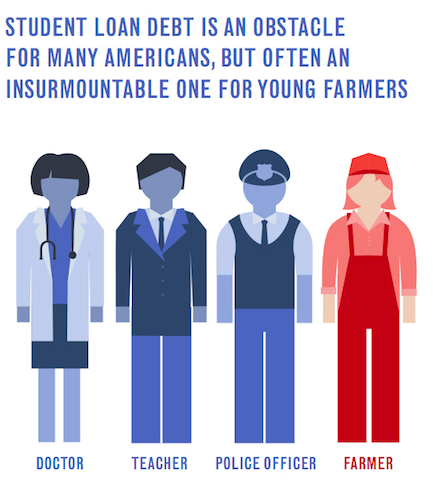 1060), a bill to provide student loan forgiveness to young farmers. This is an initiative which could have a very positive impact, not only on current farmer, but by encouraging more young folks to join us in the field. Tell your representative’s that this is an important issue! Take a moment to head over to the National Young Farmers Coalition to sign on.